We are Common Good Trading Limited (collectively referred to as "we", "the company" or "Green Common") and we own and operate the site www.greencommon.com (collectively referred to as "our site" or "greencommon.com"). Our site offers a convenient way to shop online over the Internet, including by using our applications and also provides one-stop home delivery services (referred to as “services”). 1.1 You are required to register with us when you use our services or place an order. By registering you are making a statement, upon which we are entitled to rely, that you are aged 18 years or above and capable of forming a legally binding contract. (iii) authorize us to assume that any person using our site with your username and password is either you or is authorized to act for you. 1.3 You must inform us immediately of any changes to the information that you provided so that we can communicate with you effectively. 2.1 When you place an order, the prices charged are those applicable on the day you order. You cannot cancel an order once it has been submitted, even if our acceptance or rejection of your order is still pending. 2.2 All products on greencommon.com are listed in Hong Kong Dollars. 2.3 Our system will generate an email to the email address registered by customer to confirm that we have received your order. Such confirmation does not constitute a promise of delivery of order items. (iii) one or more of the products you ordered was listed at an incorrect price due to a human or computer error or an error in the pricing information provided by the supplier. 3.1 The company accepts VISA, MasterCard, American Express, Apple Pay, Google Pay, and WeChat Pay. Orders will be charged in Hong Kong dollars. The minimum purchase amount is HK$10 to cover associated administrative charges. 3.2 We use a third party payment processor, Stripe to process online transactions. When you place an order, you agree and accept that your credit card information will be collected, processed, and kept by Stripe subject to its terms and conditions. You agree and accept that you are solely and exclusively responsible for any losses incurred or sustained by you in making a credit card transaction, and in no event shall any such losses in whole or in part be borne by us. 3.3 We do not collect or keep your credit card information. If you choose to save your credit card information for express checkout, you agree and accept that the information will be encrypted and stored by the third party payment service providers. 3.4 For orders paid by VISA, MasterCard or American Express, the upper limit of each purchase at Green Common is HK$10,000. For orders paid by Apple Pay, Google Pay or Wechat Pay, the upper limit of each purchase at Green Common is HK$1,000. 3.5 If the order is cancelled by us for any reason, if you have already made any payment, we will credit the equivalent amount of Common Point into your Green Common account. 3.6 The company reserves the right to change the payment terms for any order without prior notice. 3.7 Products and prices displayed on our site are for reference only and are subject to alteration or modification at the time of actual transaction. 4.1 We offer FREE delivery (single location only) for purchases over HK$400 net after using promotion code. For orders under HK$400 after using promotion code, a delivery charge of HK$55 per each order shall apply. Example (i) If the delivery address is on 3rd floor and has one box, the delivery surcharge will be HK$10. Example (ii) If the delivery address is on 4th floor and has one box, the delivery surcharge will be HK$10. Example (iii) If the delivery address is on 5th floor and has one box, the delivery surcharge will be HK$15. You must indicate when check-out if delivery address is not supported with elevator. Green Common reserves the right to collect surcharge without prior notice. 4.3 Delivery services shall delay when typhoon signal, a red or black rainstorm warning is hoisted; or such other weather conditions whereby delivery is considered unsafe. In this event, you will be contacted to re-schedule delivery time. 4.4 Our service covers Hong Kong Island, Kowloon, New Territories and some outlying islands which include Tung Chung, Ma Wan and Discovery Bay. Delivery service is currently unavailable for the following areas: Lung Kwu Tan, Lok Ma Chau, Lau Fau Shan, Mai Po, Sha Tau Kok, Lo Wu, Ta Kwu Ling, Man Kam To, Tai Po – Plover Cove (Including Luk Keng), Sai Kung – Pak Tam Chung (including Hoi Ha Wan), Clear Water Bay – Po Toi O, Clear Water Bay – Tai Miu, Outlying Islands (except Tung Chung, Discovery Bay, Ma Wan). (iii) Some Outlying Islands: Friday. 4.6 We currently do not make deliveries to the following areas: (1) Outlying islands, (2) Restricted districts and areas that vans cannot access or require parking. 4.7 We will deliver the products ordered by you to the address you give us for delivery at the time you make your order through our staff or a third party provider. You shall accept the products yourself (except where you have specifically instructed us to leave your delivery outside the door or at the concourse - missing delivery under such circumstances shall be at your own risk) when the products are delivered to the address you give us for delivery. You agree and accept that we are entitled, at our option, to charge additional costs or cancel your order in the event of your failure to accept delivery for whatever reasons. 4.8 It is your responsibility to inform Green Common immediately of any changes to your delivery address or preferred delivery time slot after placing order. 4.9 You will become the owner of the product(s) you have ordered when they have been delivered to you. Once product(s) has been delivered to you, they will be held at your own risk and we will not be liable for the loss or damage. (ii) send photos of the concerned item(s) to us via email / instant messaging software. 5.1.2 We will arrange replacement of equivalent product within 7 working days upon approval of any request listed above (stated in clause 5.1). If the specific item is out of stock, we will credit the equivalent amount of common point into your Green Common account. 5.1.3 We do not accept returns of fresh and frozen goods due to their perishable nature. If your order is returned to us because of an incorrect address provided or refusal of delivery when shipped according to our terms and conditions, we cannot guarantee the condition of the returned goods, must dispose of the contents, and you will not be refunded. In the event an order is delivered late due to an incorrect address or if you are unable to retrieve on the delivery date without prior notification and thawing/damage occurs, you will not be refunded. 5.1.4 All refund will be credited in Common Point (dollar amount equivalent) into your Green Common account. Refund takes approximately 5-10 business days. Once issued, a refund cannot be canceled. 6.1 All risks in the product(s) shall pass to you upon delivery but Green Common shall retain title in the products until full payment has been received. 7.1 If the performance by Green Common of its obligations relating to the services it supplies on this site is prevented by reason of "force majeure" (which shall include prevention occasioned by fire, casualty, accident, act of God, natural disaster, any law, order, proclamation, regulation, demand or requirement of the Government of the Hong Kong Special Administrative Region or of any of its government agencies, strikes, labour disputes, shortage of labour or lack of skilled labour, shortage or unavailability of products or raw materials, delay in transit or other causes whatsoever (whether similar to the foregoing or not) beyond the reasonable control of Green Common), Green Common shall be excused from such performance to the extent of such prevention. 8.1 We do not represent or warrant that access to our site (including using our applications or software), or any part of it, will be uninterrupted, reliable or fault-free. 8.2 We do not represent or warrant to you that our site or any of its contents will be accurate, complete or reliable. (ii) any merchandise (whether or not provided by us) will be of merchantable quality or will be fit for any purpose (even if that purpose has been previously notified to us). 8.4 You agree that no data transmission over the Internet can be guaranteed as totally secure. Whilst we strive to protect such information, we do not warrant and cannot ensure the security of any information which you transmit to us. Any information which you transmit to us is transmitted at your own risk. (v) any misrepresentation on or relating to our site, the merchandise or the services. (ii) we will have no liability to pay you any money by way of compensation except otherwise specified in these terms and conditions. 8.7 You must observe and comply with all applicable regulations and legislation, including obtaining all necessary customs, import or other permits to purchase merchandise from our site. We make no representation and accept no liability in respect of the export or import of the merchandise you purchase. 8.8 You agree that each of these limitations is reasonable with regards to the nature of our site and in particular given that when you purchase merchandise through our site you will enter into a separate contract with the supplier in each case. 8.9 None of the above exclusions shall affect any statutory rights which are not capable of being excluded. However, in such case our obligation, where permitted by law, will be limited to the resupply of our services or the merchandise to you. (ii) impersonate any person or entity by way of transmitting any forged or manipulated contents through the use of any services. (vii) collect or store personally identifiable information about other users. 9.2 You acknowledge that our site does not have any obligation to pre-screen contents, but our site has the right (but not the obligation) in its sole discretion to refuse or remove any contents that is available via the services. Without limiting the said right, our site has the right to remove any contents that, in its opinion, violate the terms and conditions or are otherwise, in its opinion, objectionable. 10.1 Certain links, including hypertext links, in our site will take you outside our site. Links are provided for your convenience and inclusion of any link does not imply endorsement or approval by us of the linked site, its operator or its content. We are not responsible for the content of any website outside our site. 11.1 All intellectual property rights in the content, user content, design, text, graphics and other materials on our site, and the selection or arrangement thereof are owned, controlled or licensed by or to us. Any unauthorized use without our prior written permission is strictly prohibited. 11.2 All trademarks, product names and company names or logos used in our site are our property or that of their respective owners. No permission is given by us in respect of the use of any such trademarks, get-up, product names, company names, logos or titles and such use may constitute an infringement of the holder's rights. 12.1 We may revise these terms and conditions at any time without prior notice. If any dispute arises, the company’s determination shall be final. 12.2 Where these terms and conditions are available in Chinese, the English version is the governing version and shall prevail whenever there is a discrepancy between the two versions. 12.4 We reserve the right at our sole discretion to deny users access to our site or any part of our site without notice and to decline to provide our services to any user that is in breach of these terms and conditions. 12.5 You shall not assign or otherwise deal with its rights and obligations under these terms and conditions, whether in whole or in part without our written consent. 12.6 These terms and conditions set forth the entire agreement and understanding of the parties and supersede all prior oral or written agreements, understandings or arrangements relating to the subject matter of these terms and conditions. Neither party shall be entitled to rely on any agreement, understanding or arrangement that is not expressly set forth in these terms and conditions. 12.7 These terms and conditions are governed by the laws in force in Hong Kong. You agree to submit to the exclusive jurisdiction of Hong Kong courts. If any part of this agreement is held to be unenforceable, the unenforceable part shall be given effect to the greatest extent possible and the remainder will remain in full force and effect. 12.8 You agree to defend, indemnify, and hold harmless us, our officers, directors, employees and agents, from and against any claims, actions or demands, including without limitation reasonable legal and accounting fees, alleging or resulting from your use of our site or the content or your breach of this agreement.Whenever necessary, $1 per each paper shopping bag each will be charged in accordance to the Hong Kong regulation. 13.1 Common Points refer to all rebate/refund when customers shop at Green Common, and are equivalent to the same face value of Hong Kong Dollar. 13.2 Customers must bind their member card with their greencommon.com user account before making any payment. 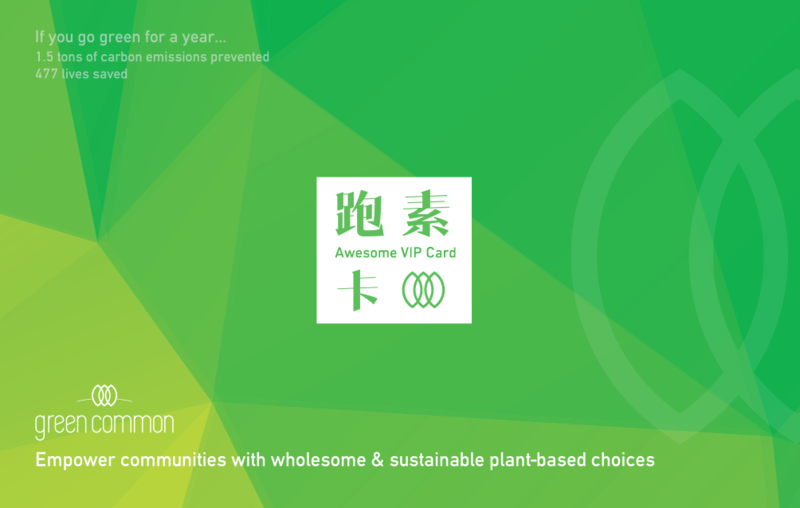 Every dollar you spend at Green Common will be converted to 1 Common Point, and every 200 points can in turn be used as HK$1 in Green Common stores (including greencommon.com). Common Points will be updated simultaneously after shopping. 13.3 Common Points can only be used as cash dollars redemption for next purchase. They cannot be redeemed for cash. 13.4 Customers must bind their member card with their greencommon.com user account before redeeming cash dollars. Green Common has the right to request their personal information for verification purposes. 13.5 The Common Point records of Green Common shall prevail. Green Common will not accept any claim of missing Common Points after transaction. 13.6 Common Points are non-transferable, non-divisible and Common Points stored in different membership cards cannot be combined. 13.7 All the Common Points will be cancelled after December 31st. Any expired Common Point shall be forfeited automatically and customers shall not be entitled to any form of compensation. 13.8 Should customers lose their member cards, Green Common will not, under any circumstances, reissue the card and Common Points. Green Common shall not be liable for any loss borne by customers after a card is lost. 13.9 In regard to details of Common Points, please refer to the corresponding Terms & Conditions of Green Common Membership Program. 14.1 Promotion code or coupon offered by us shall only be applicable to one-off purchase at our site subject to special terms and conditions. 14.2 Promotion code or coupon is neither refundable nor redeemable for cash. Any unused amount will be forfeited. 14.3 Promotion code is not applicable to selected items on the following brands: Circle, Ecoegg, Hyginova, Made by Fressko, Sonett, Takeroot, Wan Veggie Mom. 14.4 We reserve the right to terminate or vary the above offers. In the event of any dispute, our decision shall be final and conclusive. 14.5 The cash rebate offered by partner stores cannot be applied together with other promotions*. *Promotions refer to the offers under promotion code and Green Common member offer. 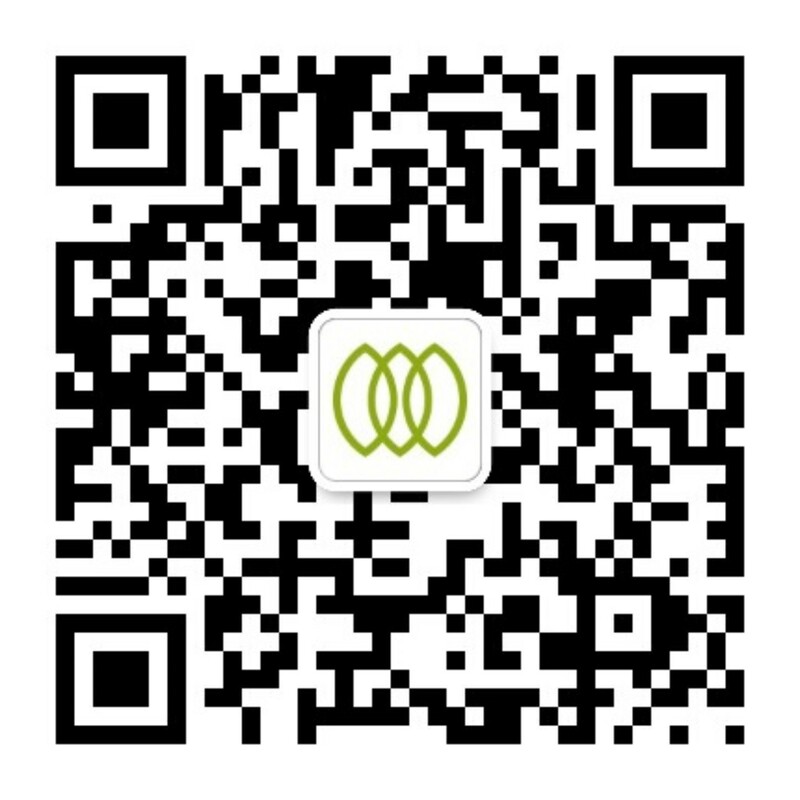 14.6 Green Common member offer cannot be applied together with the offers under promotion code.